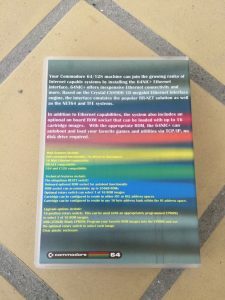 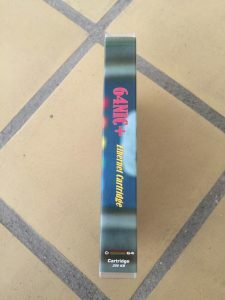 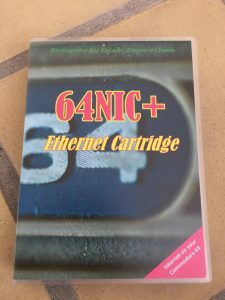 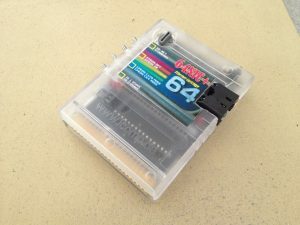 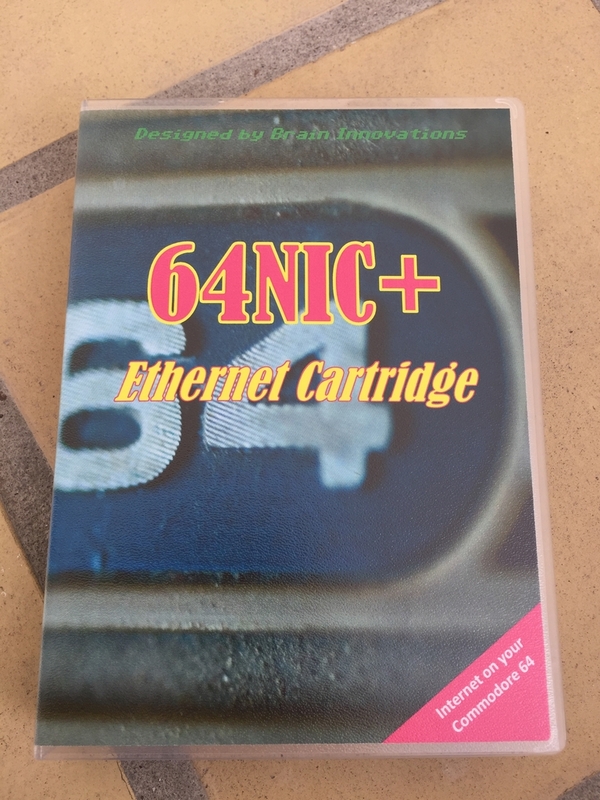 The 64NIC+ ethernet interface cart enables connecting the Commodore 64 to the internet. 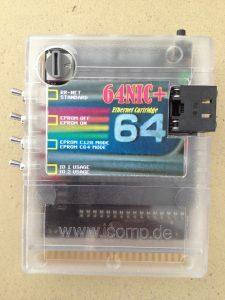 The cartridge emulates the RR-NET solution, the NET64 and the TFE systems. The cart is created and sold by Reto Innovations. 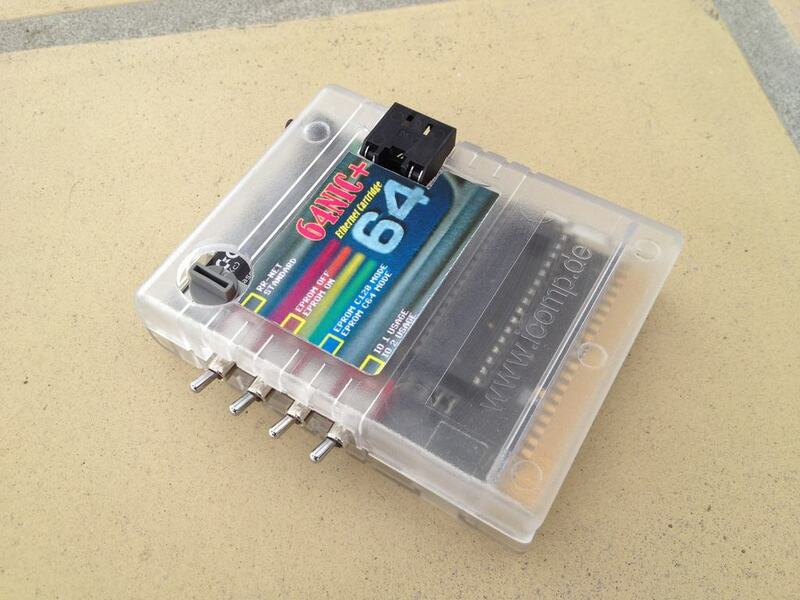 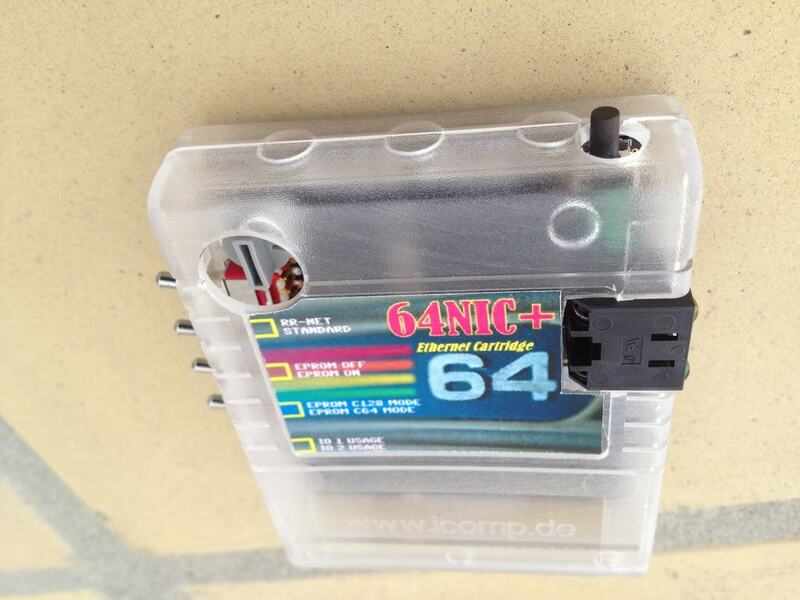 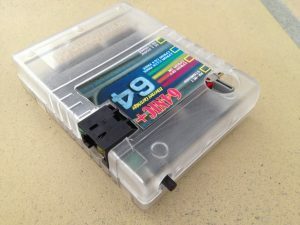 The 64NIC+ also has an optional on-board ROM socket that can be loaded with up to 16 cartridge images (programs, games etc.). 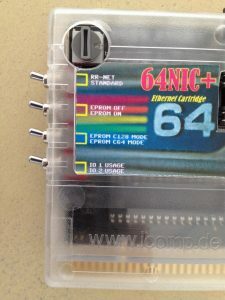 The ROMs can be burnt to an apppropriate sized EPROM and the 16 position rotary switch n the top left corner of the cartridge can be used to select each of the ROMs. 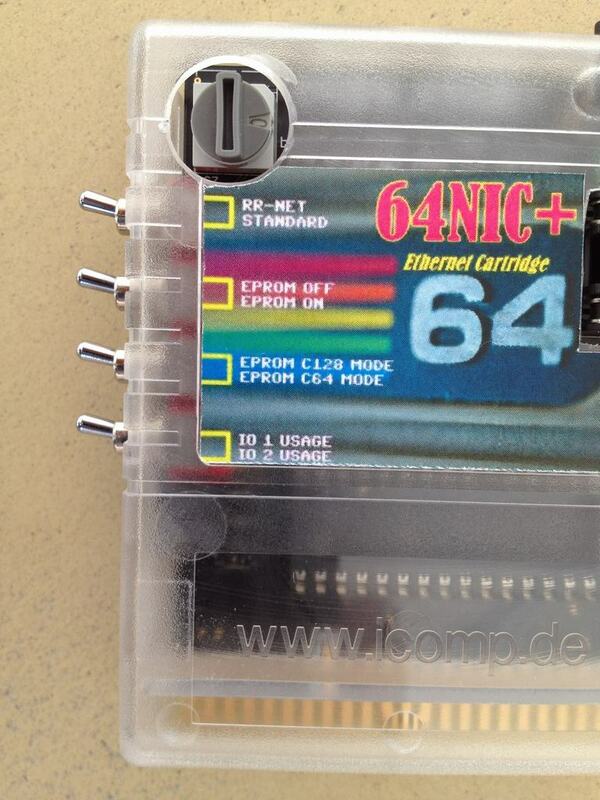 The toggle switches on the side have different functionality. I made a custom sticker so I do not have to remember everything. 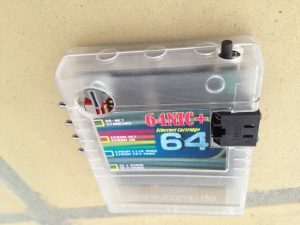 The button on the top is used for resetting the cart. The cartridge has been placed in a modified plastic Universal Game Case with a custom made foam insert and cover art. 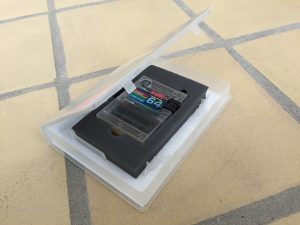 Have you had any luck running it with a AF3 cart?